Gairika (Red Ochre) a silicate of Alumina and oxide of Iron. In Ayurveda know as Geru, it is used for medicinal purpose after purification. It is sweet, astringent, anti-phlegmatic, anti-bilious and cooling. With sincere intension to preserve our reputation in the market, we are engaged in tendering world class array of Red Ochre Powder. They are fine in texture. Red Ochre Powder, 25Kg. 20Kg. 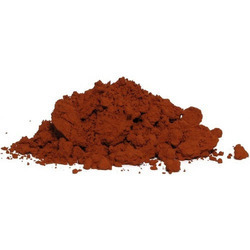 We offer Red Ocher Powder which is a dye obtained from an impure earthy ore of iron or ferruginous, usually red (hematite) or yellow (limonite). In addition to being the principal ore of iron, hematite is a constituent of a number of abrasives and pigments. It is also used in making coloured paper. Our reputed entity is engaged in offering Red Ochre Powder. 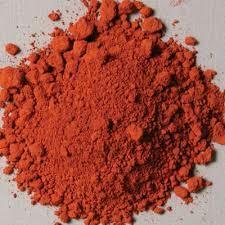 We offer Red Ocher Powder which is obtained from iron or ferruginous in impure form. These are manufactured from quality raw material.